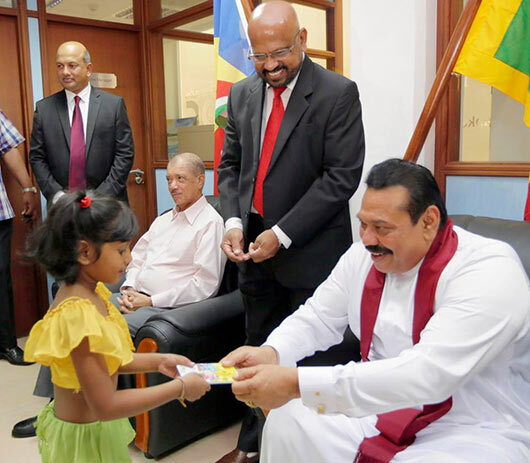 President Mahinda Rajapaksa, on a state visit to Seychelles, declared open Bank of Ceylon, Sri Lanka Insurance and Mihin Lanka branches in the capital of Seychelles yesterday (June 28). Branches of the Bank of Ceylon and the Sri Lanka Insurance Corporation are located in the Capital City Building on Independence Avenue. Seychelles President James Michel, Vice President Mr. Danny Faure and the Minister for Community Development, Social Affairs and Sports of Seychelles Mr. Vincent Meriton joined President Rajapaksa for the opening ceremonies. Bank of Ceylon Chairman Mr. Harsha Abeywickrama and Deputy Manager of Sales of Sri Lanka Insurance Ms. Namalee Silva represented their respective organizations. The Mihin Lanka office is situated at the Ibrahim Building on Francis Rachel Avenue. The Chairman of Mihin Lanka Mr. Nishantha Ranatunga was present at the opening ceremony. 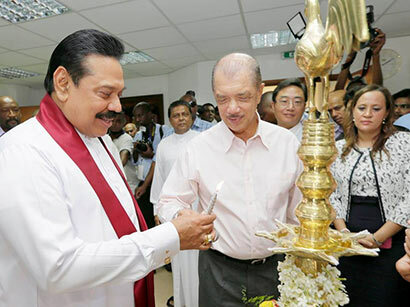 President Rajapaksa also declared open a new Nawaloka Medical Center at the City Mart Building in Francis Rachel Avenue in Victoria. Minister of External Affairs Prof. G. L. Peiris, Minister of Higher Education Mr. S.B. Dissanayake, Monitoring MP of the Ministry of External Affairs Mr. Sajin de Vass Gunawardena, Members of Parliament Mr. A.H.M. Azwar, Mr. Lohan Ratwatta, Mr. Udith Lokubandara, Mr. Ranjith de Zoysa and Mr. Thenuka Vidanagamag, Secretary to the President Mr. Lalith Weeratunga and Sri Lanka’s High Commissioner in Seychelles Mr. Rajatha Piyatissa were also present. ON 6TH SEPTEMBER 1989 I WAS ADMITTED TO ICU VICTORIA HOSPITAL. TODAY I COULD SEE SRI LANKAN PAID THE DEBTS OF LOOKING AFTER HER CHILDREN. MAY LORD BLESS ALL YOUR GOOD WORK. I AM AT YOUR SERVICE TO CONTRIBUTE IN A SMALL WAY ACCORDING GOD’S WILL. NEXT YEAR ALL WILL CELEBRAT THE 1ST ANNIVERSARY IN A GRAND SCALE.